When you are in a new place, it is always a good idea to try the local cuisine. This is not easy when you are in a place like Cagayan de Oro City, which has an active dining scene that covers the spectrum of traditional to contemporary, making it hard to squeeze all your eating into a few days. One of the places that we noticed was always full is Kagay-Anon Restaurant, which serves local fare. The only reason my friends and I got to eat there was because we had to eat an early lunch to make it to our flight back to Manila. We didn’t order much, but we ordered enough to make an impression. 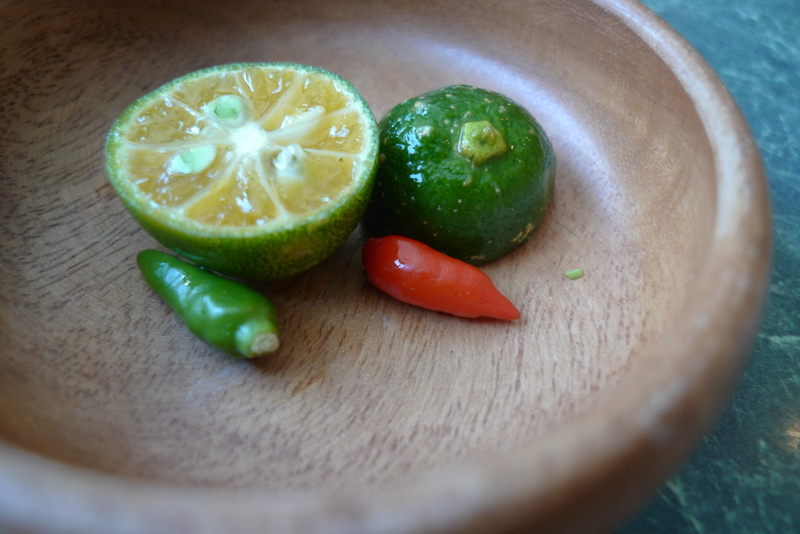 Calamansi and chili peppers for making your own dipping sauce. I’m a big, big fan of kinilaw (that’s ceviche, if you want to get fancy), so if there’s raw fish on the menu, I immediately order it. The Kinilaw Malasugue (Php180) did not disappoint. 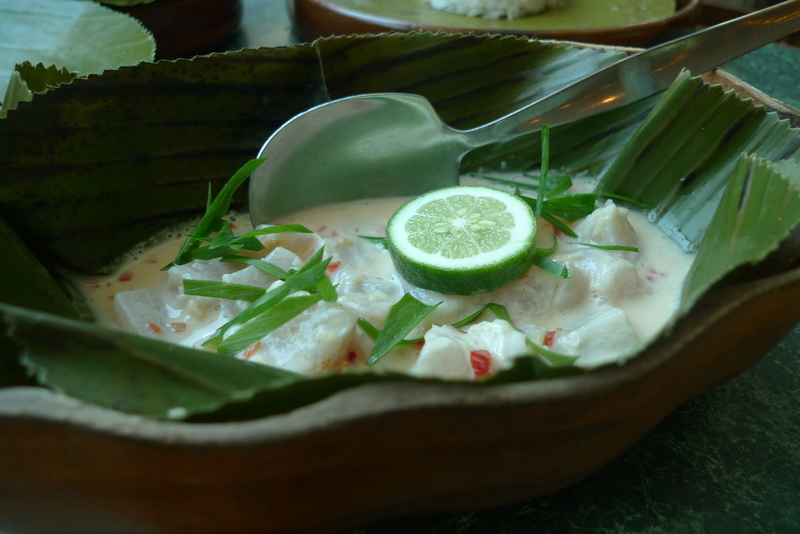 The swordfish was fresh, cut into bite-sized chunks and flavored with lime, vinegar, coconut milk, and chilies. The dish had a sweetness to it, undercut by a faint heat. I could eat this on its own. On a side note, I now know the difference between ‘kinilaw’ and ‘kilawin.’ They essentially refer to the same thing–raw fish in a vinegar sauce, or variation of. The difference comes from where the dish is served. 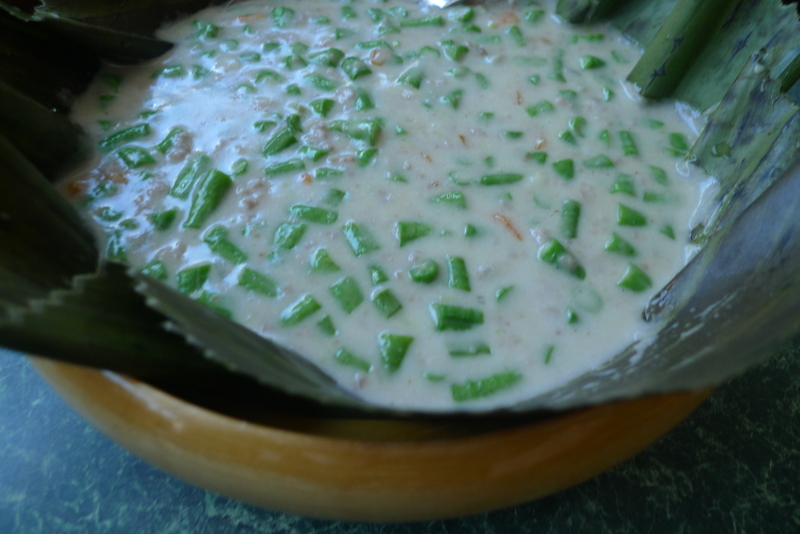 It is called ‘kilawin’ in the Northern provinces like Ilocos and ‘kinilaw’ in Southern provinces like Cebu. From experience, asking for ‘kilawin’ in Luzon will earn you a blank look. The same goes for asking for ‘kilawin’ in the Visayas and Mindanao. There was one time when I used the wrong term in the wrong province (I think I said ‘kinilaw’ in Ilocos). The waitress first gave me a blank stare. Then it clicked in her head, so she smiled and said, “Ah! Ceviche!” Which leads me to conclude that if you forget which term to yuse, you can always say ceviche. We also tried the Bicol Express (Php160), which was quite runny and not as hot as we were expecting, but has a weirdly addictive sauce that makes you want to spoon it onto your garlic-fried rice (Php35/ bowl). 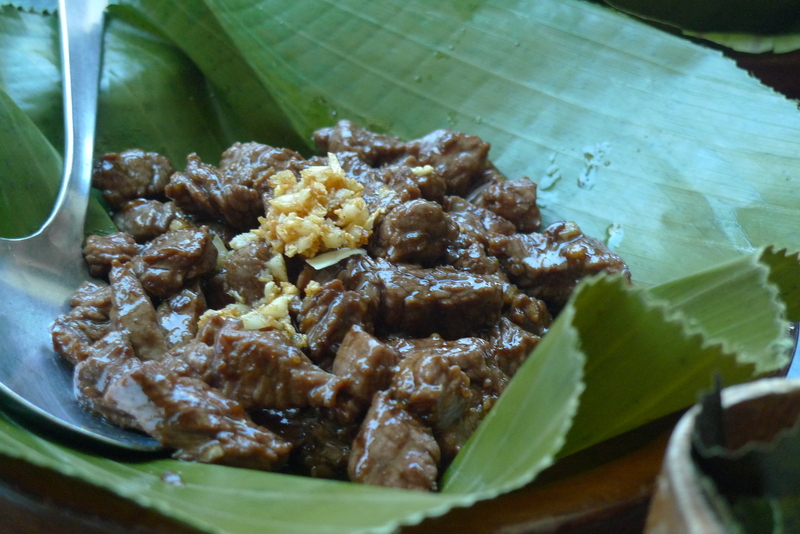 The Ostrich Salpicao (Php430) was interesting, but not compelling. The meat had a distinct gamey flavor, despite being covered in sauce. This is normally a good thing, but I’m not a fan of game. This did not stop me from eating a lot, though. We washed everything down with overpriced fresh buko juice (Php40) because why not? Fresh coconut juice is yummy, is good for your body, and even though the same thing will set you back about 20 bucks at the market, it’s probably still cheaper than if you had ordered the same thing in Manila. By the time we left, the restaurant was overflowing with patrons. If you want to try it out, I suggest you head there early. And remember, kinilaw, not kilawin.